Shiver me timbers, tharrr she blows - let's just see how many pirate cliches Mamma can fit into this article! 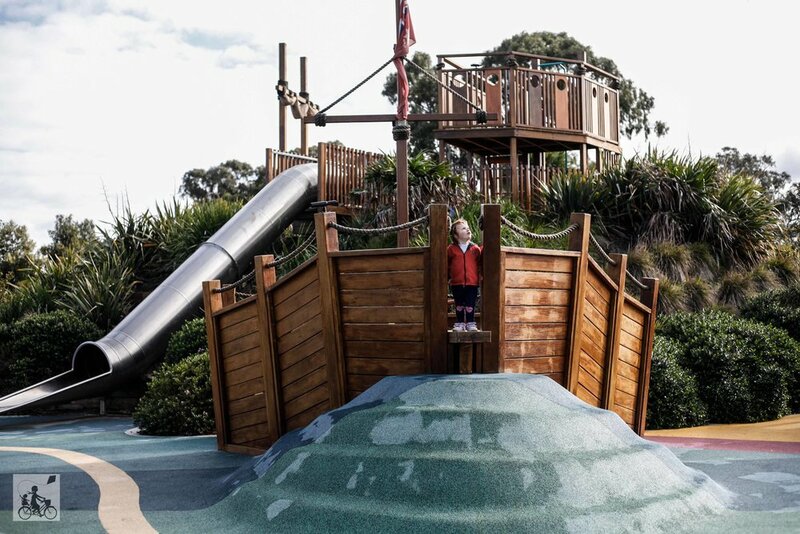 There is a rare gem of a playground that is to be uncovered in the Somerfield Estate in Keysborough. Pirate Park is a real treasure. The two mighty ships take over the space and there are all the golden piratey touches. The telescopes, the main sails, the ropes, the ship's bell, the rum barrels and even a spot to walk the plank! Your little racketeers will have a grand 'o time traversing the rope climb, flying down the slide and racing through the waves and back to the top again. 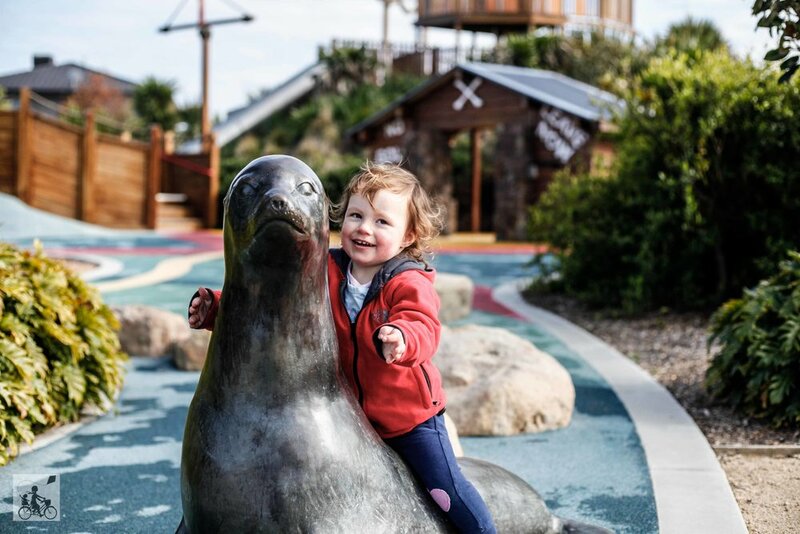 They will also have to be on the look out for the shark and the octopus on their way to the swing, and be sure to give a seal a cuddle on the way home! Mamma's special mention: If you are up for even more adventure, keep your motor running and check out Wild Buggy in Heatherton!